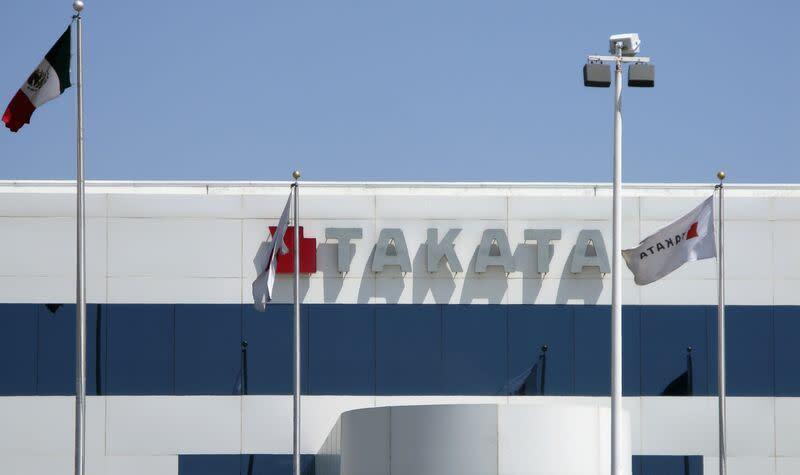 DETROIT (Reuters) - U.S. safety regulators on Wednesday expanded the number of vehicles in the United States that may be affected by recalls for potentially defective Takata Corp (7312.T) air bags that could spray shrapnel at occupants. The NHTSA has urged owners of certain Toyota <7203.T>, Honda <7267.T>, Mazda <7261.T>, BMW (BMWG.DE), Nissan <7201.T>, Mitsubishi (7211.T), Subaru (9778.T), Chrysler (FCHA.MI), Ford (F.N) and General Motors (GM.N) vehicles to replace installed air bags as soon as possible. Also on Wednesday, a top Toyota Motor Corp executive said in Tokyo that the Japanese automaker had no plans to abandon Takata despite the supplier's struggles. "Toyota's not one to just dump a supplier," Steve St. Angelo, Toyota's head of Latin American operations and the former chief quality officer in North America, told reporters. "Have we ever eliminated a supplier? Yes. But it's really, really tough. We will exhaust every opportunity to help that supplier first." Meanwhile, anyone visiting NHTSA's website at www.safercar.gov on Wednesday to determine whether their vehicle was part of the Takata-related recalls instead received a network error message. NHTSA officials they were trying to determine the issue and consumers can also contact dealers or go online with automakers and use their vehicle identification number to determine recall status.